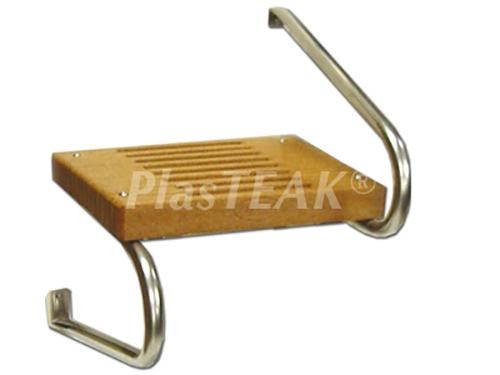 Half Size Swim Platform for Outboard Engines - PlasTEAK Inc. 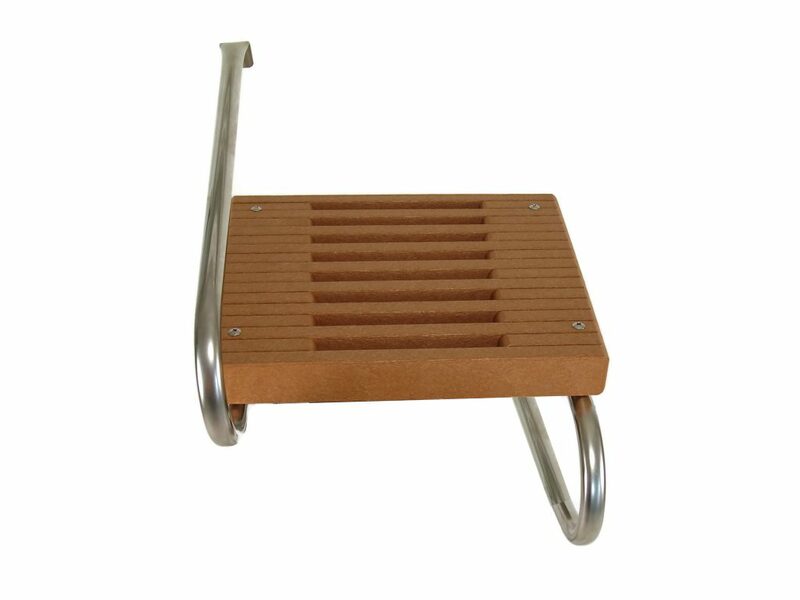 This small platform is designed to fit around an OUTBOARD engine. 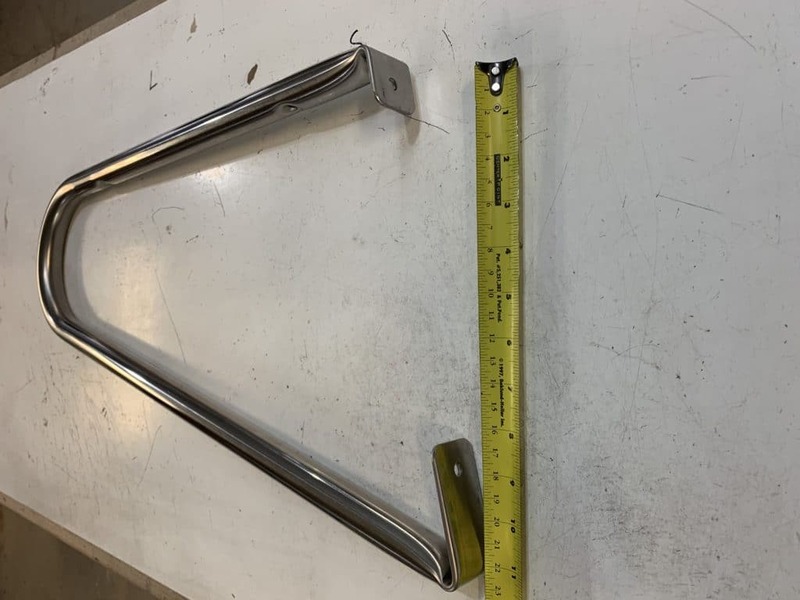 It comes with one handle bracket and one under bracket. It measures 15 1/4″ deep by 18″ wide at the widest point (387.35mm x 457.2mm). The swim platforms are 2 1/8 inches (54mm) thick. 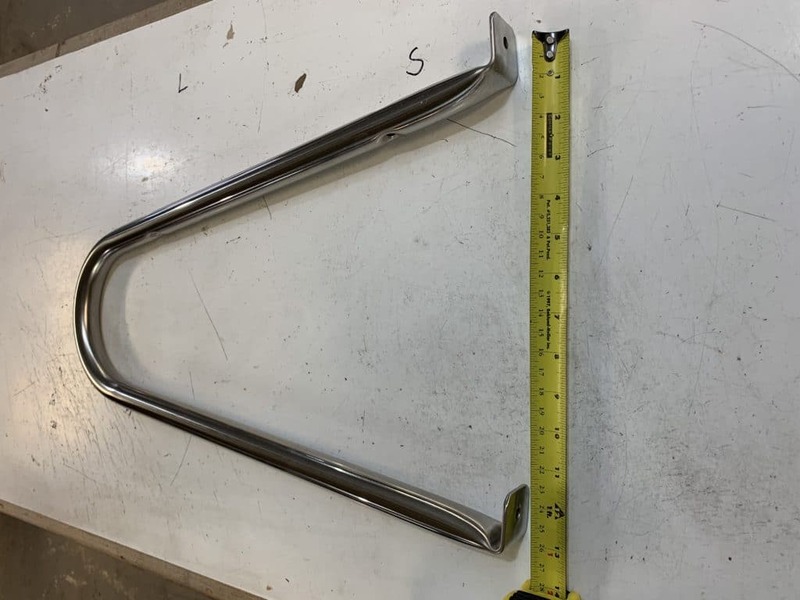 The UPPER bracket extends out 21 inches (533.4mm) and the measurement between mounting holes is approx. 12 inches (304.8mm). The overall height of the bracket is 14 inches (355.6mm). The LOWER bracket extends out 21 inches (533.4mm) and the measurement between mounting holes is approx. 9 inches (228.6mm). The overall height of the bracket is 13 inches (330.2mm).